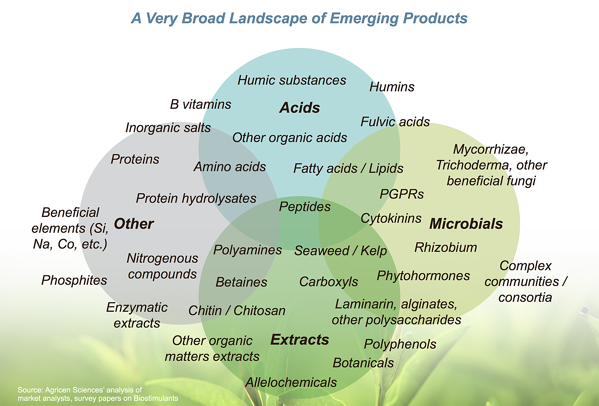 The term "agricultural biostimulants" encompasses a diverse group of product technologies and may include bacterial or microbial inoculants, biochemical materials, amino acids, humic acids, fulvic acids, seaweed extracts and more. They can be used to supplement and enhance existing agricultural practices and crop inputs. Learn more about agricultural biostimulants by downloading Agricen's "Growing for the Future" booklet. "Any substance or compound other than primary, secondary, and micro plant nutrients that can be demonstrated by scientific research to be beneficial to one or more species of plants, when applied exogenously to the plant or soil." Enhancing quality attributes of produce, including sugar content, color, fruit seeding, etc. Enhancing soil fertility, particularly by fostering the development of complementary soil micro-organisms"
Agricen and our sister companies, Agricen Sciences and Agricen Australia, are enhancing plant health and nutrition with biostimulants derived from a naturally occurring, diverse community of microorganisms and the biochemical byproducts they produce (e.g., organic acids, proteins, enzymes). These biochemicals are the key functioning components of our commercially available biocatalyst product technology. The biochemistry in our products interacts with the plant-soil system to increase the availability and uptake of nutrients that are applied in the form of fertilizers or that are present already in the soil or in crop residues. Our rigorous scientific research program continues to be focused on developing biostimulant products rooted in biology and biochemistry, with the goal of further improving the performance of plant nutrition programs and providing growers with the tools they need to increase productivity and sustainability. 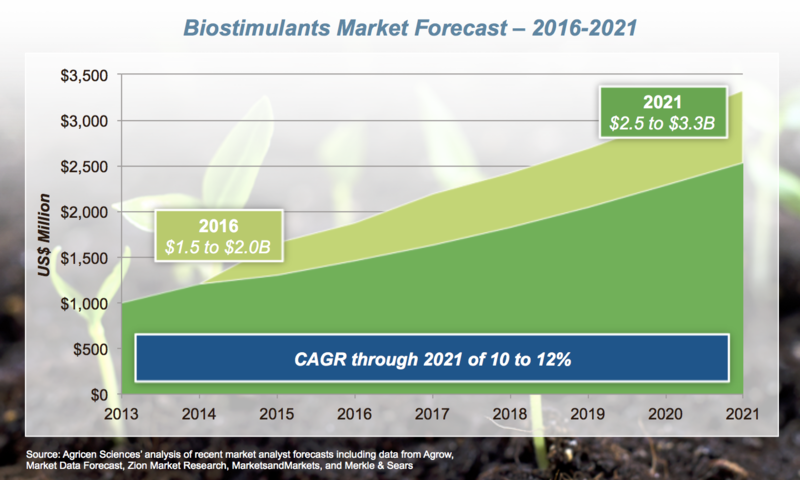 1Based on Agricen Sciences’ analysis of recent market analyst forecasts including: “Global Biostimulants Market (2016 – 2021)”, by Market Data Forecast; “Agrow – Biostimulants 2015 Edition”, by Agrow; “Biostimulants Market by Active Ingredient (Humic acids, Fulvic Acids, Seaweed, Microbials, Trace Minerals, Vitamins and Amino Acids), by Application Method (Foliar, Soil and Seed), by Crop Type (row crops, fruits and vegetables, turf and ornamentals, other crops) - Global Industry Perspective, Comprehensive Analysis and Forecast, 2015 – 2021”, by Zion Market Research; “Biostimulants Market: Global Trends & Forecasts to 2021” by MarketsandMarkets; and “Global Biostimulants Market Analysis (2016 – 2022), January 2017”, by Merkle & Sears.